What to Expect in Birmingham in 2018? Strong with its past successes, Birmingham will continue to see a significant transformation to its cityscape. Modern, glass-clad offices have already mushroomed at areas like the Colmore Row Central Business District, Arena Central, as well as on various segments of prime real estate within the city center. Now that the Big City Plan is well in progress, several high-profile developments are now nearing completion and will be opening in 2018. One such example is One Chamberlain Square within the £700 million Paradise development area, which topped out in mid-December 2017. PwC has taken all its available office space, and its employees are ready and eager to move in their brand-new headquarters. But all work and no play will make any city a dull place, so 2018 will see the addition of more recreational spaces, including Birmingham Smithfield. Named after the Smithfield markets, its focal point will be Festival Square, the node that connects museums, culture centers, markets, hotels, and other leisure developments including, potentially, a skating rink. It will also boast a 24-hour food market, not unlike Brixton Village in London, or the famous Mercado da Ribeira in Lisbon, which will contribute significantly to Birmingham’s street food scene. For a way to work off all those calories, residents of Birmingham can expect more facilities for sports to commence development in 2018. In late December last year, the city celebrated its triumph bid to host the Commonwealth Games in 2022. In the four short years between the announcement and the games, Birmingham can look forward to a new swimming pool, an upgrade to Alexander Stadium, the construction of athlete housing that will likely be converted into residences after the event ends, as well as additional investments in transport links on top of those that are already happening under the Big City Plan. In total, the games are expected to boost West Midlands’ economy by £750 million. That’s not all. Residents of Birmingham are also hankering after more green spaces – that is, despite the city already being Europe’s greenest, with 571 parks covering a total area of over 8,000 acres. As Birmingham’s rapid urban development continues, the Birmingham City Council and the West Midlands mayor will have to tend to the city dwellers passion for the green outdoors. Over 5,000 residents have recently signed a petition for Birmingham’s own “Central Park” to be built. Amidst these developments, the younger Birmingham residents are not forgotten. The £7 million Legoland Discovery Centre is slated to open mid this year, in time for the summer holidays. When the time comes, children will find 10 themed play zones, two rides, and a 4D cinema to explore. The entire attraction contains more than three million lego bricks, with 421,000 used in Miniland, which features miniatures of Birmingham’s landmarks built out of lego bricks. With the Commonwealth Games, Legoland Discovery Centre, and various business and commercial developments slated for completion, Birmingham can expect very healthy number of visitors in the years to come. The city’s hospitality industry will see a giant re-enter the scene soon – Grand Hotel, one of Birmingham’s most iconic Victorian structures. Owned by Hortons’ Estate and operated by Principal Hotel Company, the property will boast 180 rooms including the grand and historic Grosvenor Suite, a restaurant, bar, spa, banquet and conference spaces, as well as the city’s first rooftop infinity pool. Building works on the hotel will head towards completion in 2018 in anticipation of its unveiling in early 2019. As Birmingham cements its reputation as one of UK’s most vibrant cities, its appeal will continue to grow. Already, the city is popular not only with multinational companies seeking a good alternative location for their branches outside of London, but also individuals looking to escape London’s increasingly unaffordable home prices. With a healthy demand, property prices are likely to keep growing. Already, some units in prime areas are hitting £450-480 psf and Knight Frank has predicted that prices will reach £500+ psf by 2020. 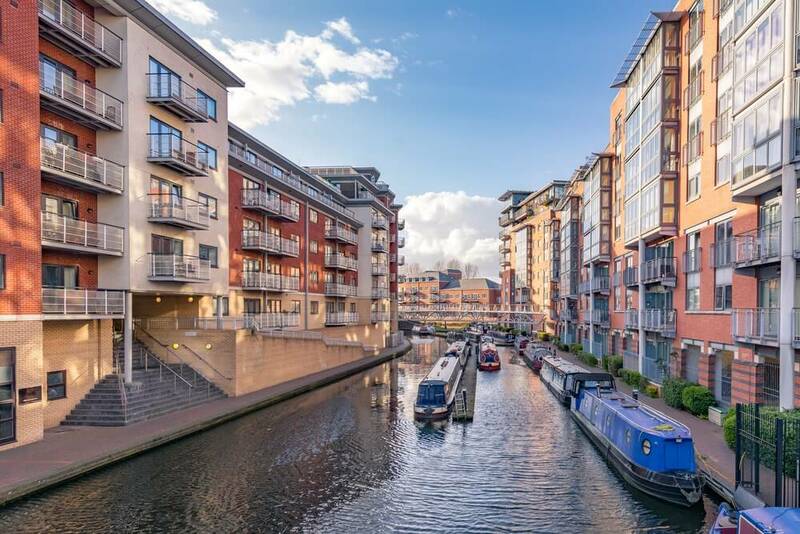 Despite the rise in price, Birmingham remains much more affordable than London, and with the abovementioned developments, it will soon be giving the capital a run for its money. The city definitely looks set to reach greater heights in 2018.